Home→Board of Legislators in Surprise Special Meeting Votes to Request State Permission to Install Red Light Cameras Throughout Westchester County. BOYKIN, Chair ISSUES STATEMENT. Board of Legislators in Surprise Special Meeting Votes to Request State Permission to Install Red Light Cameras Throughout Westchester County. BOYKIN, Chair ISSUES STATEMENT. 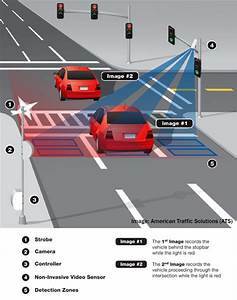 According to a spokesperson for the County Board of Legislators, Jason Chervokas, the County Board of Legislators called a Special Meeting of the Board Friday afternoon to vote on a home rule request to the New York State Legislature, that would allow Westchester County to install red light cameras (which would take surveillance photographs of vehicles running red lights at intersections). Chervokas told WPCNR the meeting was called Friday afternoon in order to get the home rule request considered during this session of the state legislature. He said possible implementation was a long way off, and that there would be discussion and consideration of what county intersections would be installed with red light cameras. Chervokas, also issued this statement as of 3:45 P.M.
Chervokas confirmed the County Legislators voted 16-0 to send the home request request. 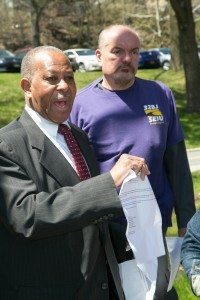 WPCNR sent a request to the Westchester County Department of Communications to confirm that the County Executive George Latimer requested the Board of Legislators to vote on the home rule request and when the request was made, or whether this was the Board of Legislators acting on their own. Chairman of the Board of Legislators Benjamin Boykin’s office was asked by WPCNR when the request, in any was made, and why there was no public discussion of the red light camera initiative. As of Tuesday morning there was no official press release from the County Executive or the County Board of Legislators explaining the action. BULLETIN 3:45 PM: BENJAMIN BOYKIN, HAS NOW RESPONDED TO THE WPCNR REQUEST IN A NEWS RELEASE ON THE SURPRISE VOTE. THE COUNTY BOARD OF LEGISLATORS NOW CONFIRMS THAT YES, THEY HAVE VOTED TO ASK FOR HOME RULE REQUEST TO INSTALL RED LIGHT CAMERAS. THE COUNTY EXECUTIVE OFFICE HAS NOT CONFIRMED WHETHER MR. LATIMER REQUESTED THE VOTE AND WHEN LATIMER REQUESTED IT IF HE DID REQUEST THE HOME RULE MESSAGE. HERE IS THE NEWS RELEASE WITH MR. BOYKIN’S STATEMENT. At a special meeting on Monday, the Board of Legislators, by a 16-0 vote, approved a measure asking New York State to give the county permission to consider passing a local law that would allow red light cameras at county intersections. “The measure was passed in order to get it into the hands of state legislators quickly, because the state legislative session is ending. But this does not mean that the county is on the verge of installing red light cameras,” explained Board Chair Ben Boykin (D-Harrison, Scarsdale, White Plains). In fact, if the state approves the request, the Board would still need to draft and vote on a new local law authorizing the cameras, a process that would involve careful consideration. “Before any program actually moves forward, the Board will examine all issues regarding any specific proposal for implementation in cooperation with the relevant county agencies and departments and with the County Executive’s office,” Boykin said. “That means looking at statistics on the impact of red light cameras on safety and on changing driver behavior, as well as looking at where any such cameras would go, before deciding if red light cameras are a good idea,” he added. The Board also would examine how systems might work so as not to inadvertently flag drivers, as well as what the implications are, both for costs and for revenue. In addition, careful consideration would be given to the lessons learned by the cities of Mount Vernon, New Rochelle and Yonkers, which already have their own red light cameras in place.